SOS Educational Webcast: No More Proxy Woes: Executive Compensation Disclosures within the Proxy Statement – Debunked! No More Proxy Woes: Executive Compensation Disclosures within the Proxy Statement - Debunked! Our experts do a deep dive into the nitty gritty details of preparing the Executive Compensation Disclosures within the Proxy Statement. They will share a timeline of which disclosures can be prepared first and when, provide instructions on how to calculate the various data points within each table and explain where to find the information for each table. During this session you will also learn a few tips on ensuring the data is accurate. Moe Zohny, CEP, Stock & Option Solutions, Inc.
What’s Proxy Got To Do With It? Stock Administration has an important, but varied, role in the proxy process. Depending on the department stock reports to in your organization, you may be responsible for duties ranging from simply running reports to taking on all Executive Compensation Disclosures. No matter what your responsibility level, these are the items you must have for a smooth and successful proxy. From learning who the “big 5” are in your company, to which disclosures you’ll need to complete, we’ll share an effective project plan and go over how to calculate the various data points within the Executive Compensation Disclosures during next month’s SOS Educational Webcast. Register now for this important topic. We see this time and time again: a client performs their period close reporting and starts to reconcile the output and then realizes something isn’t right or that the beginning data points do not match the prior period end points. Of course, they are stumped and it is the day prior to the deadline for booking the expense. After a rush to dig into the data and identify the issues it is determined that a prior termination was entered, the valuation records were missing on the grants, the department code was never updated, etc. Now the real panic sets in, document the issue, correct the bad data, re-run the reports. If these differences are not caught prior to the auditor’s review, there could be concern about the process and SOX compliance. A material weakness could be uncovered. No one wants that! We recommend that clients get ahead of these scenarios by performing some quick audits just prior to the period close and correcting or documenting the issue before it becomes a problem. One of the first ways to jump ahead of these potential situations is to re-run your prior period reports several days in advance of the new period ending. Verify if the data points (shares balances, shares outstanding, granted, exercised, cancelled, expense, etc.) match your prior period reports. If not, then you have time to dig in and understand what happened. Did someone enter a late termination? Did someone enter a late transaction? Did a fair value get changed by accident or even worse, dropped off the record entirely? Why? What process improvements would prevent this in the future? Some systems do allow you to “close the period”, a common practice in accounting software, but it's something that has been more recently introduced in stock plan software, at least in a few platforms. Using these features can ensure that the post-dated transactions or terminations don’t impact your prior expense, but they don’t help you explain the variances you see from this period to last. Again, you have to dig in, do a “flux analysis” and figure out what happened to that grant after the period was closed to make the expense so different from one period to the next. The other common mistake we see happening during period close is the retention of an incomplete set of reports. Many equity systems allow for the reports to be produced in either an Excel or .PDF format and, in some cases, both. For very good reason, we see the .PDF version retained since those tend to be the Auditor’s request. A .PDF report is not easily “manipulated”. However, using a .PDF report to perform any type of comparison or research into data issues is not feasible. Excel, on the other hand, is easy to use for comparison and research. So, if your system provides reports in Excel, USE them, SAVE them. It’s a great backup to the .PDF. In addition, some systems provide detailed excel backup to the overall expense and other financial reporting needs. These too should always be retained. We love those expense reconciliation questions where the CFO wants to know why X didn’t equal Y and then hands over the system’s expense summary report in .PDF or a report with one row summary per grant….or, even better, the LAST page of the expense report. SCANNED. No details. UGH. Further, some systems provide a view of the data with all the “gory details” (tranche level, current and prior forfeiture rates, expense with and without forfeiture rates applied. Save these too. You will be so happy you took the extra 15 minutes to save off the detail when your expense doesn’t tie. Equity systems generally provide the user with a multitude of user specific fields for adding certain flags, tags or identifiers to a participant or grant record yet the client is afraid to use these or uses them inconsistently. Work with your internal partners to understand which flags might be useful and then put a plan in place for using these user-defined fields. And keep an external record of the business reasons for the codes in these fields and the valid inputs. These can be very helpful in running any period close report by allowing for filtering for groupings, inclusion or exclusion of certain data. That being said, though, we sometimes find filtering of reports can also lead to double counting or even exclusion of grants if not properly used. An example of this is with expense. Clients will set up their expense reports to run several sets for different grant type parameters. Then using those reports, they manually add up the totals for their end use. They don’t run a full set of the same report (no parameters) and never realize that the total expense doesn’t match to the sum of their reports…ACK. Why not use your flags, run custom output reports (if available), export to EXCEL and then using a summary tab in the workbook, create totals by the respective parameters using SUMIFS or pivot tables? This way you can capture what you need, in the buckets you need it and still tie back to the total. If the auditors require a .PDF, show them how you proved to the total(s) on the .PDF system generated report and they should be comfortable. Using these tips will help you perfect your period close and make your auditors happier too! SOS Educational Webcast: No More Proxy Woes: Executive Compensation Disclosures within the Proxy Statement - Debunked! Join our experts who will do a deep dive into the nitty gritty details of preparing the Executive Compensation Disclosures within the Proxy Statement. They will share a timeline of which disclosures can be prepared first and when, provide instructions on how to calculate the various data points within each table and explain where to find the information for each table. During this session you will also learn a few tips on ensuring the data is accurate. Don’t miss this must-attend proxy webcast. ● Moe Zohny, CEP, Stock & Option Solutions, Inc.
SOS Consultant Corner: Fair Value and Hedging - How Do They Relate? The terms “fair value” and “hedging” are often used in the world of finance. Fair value is a term that is used daily in the equity compensation space. Hedging is more of a Wall Street term and is not spoken about often in equity compensation circles. That is a shame, as the two terms are very closely related. As a matter of fact, thinking of valuing equity grants based upon how much it would cost the company to “perfectly hedge” away risks associated with the awards it grants, can build a more thorough understanding of valuation. Almost every day across the country equity compensation awards are issued. These may be form of restricted shares, options or even Relative TSR awards. All these awards will need to be valued and reflected as an expense in the company's financial statements. Various valuation techniques are used to value each award type. As you will see however, the fair value is always the same; it's how much would it cost the company to “perfectly hedge” away all risk associated with issuing an equity compensation award. The term “perfectly hedged” refers to a situation in which no matter how the stock price moves in the future, the company will not owe any money or receive any money as of the date the award vests. This removing of all risk through hedging leads to “risk-neutral” valuation theory, which is the underpinning of the Black-Scholes model. The theory is that if all risk is eliminated in a financial position, it is then “risk-less.” All risk-less assets must earn the risk-free rate of return or arbitrage opportunities will arise that will be quickly eliminated by an efficient market. A Restricted Share – The simplest of valuations. An employee is issued a restricted share that vests at some point in the future if the holder is still employed at the issuing company as of the vesting date. Say the share is currently trading at $100 and you wanted to hedge away all risk associated with the grant from the company’s perspective. Would putting the $100 into a bank account and holding it over the vesting period hedge award all risk? No, because the stock price can go up and down. If the stock price were to double from the grant date to the vesting date, the company would need an additional $100 so they could buy the share and deliver it to the holder. What about if the stock dropped to $50? Although the company would gain in that transaction, since it has $100 saved (plus interest) and it would only cost $50 to purchase and deliver a share to the holder, it is not “perfectly hedged.” Remember, the term “perfectly hedged” refers to a situation in which the company would not owe or receive any money upon vesting. The best way to “perfectly hedge” a share owed in the future is to buy the share now and deliver it on the vesting date. That aligns exactly with the “Fair Value” of a restricted share, which is the cost to buy the share as of the grant date. An Option – One of the most challenging parts of determining the “Fair Value” of an option is determining the expected term of the option. If you sit back and think about what the expected term represents, you will see it goes right back to hedging. As with a restricted share, the best way to perfectly hedge an option granted to an employee is to buy an option with the exact same exercise price and term. Since no one can predict with certainty when employees will exercise their options, determining an average expected term tells you what term option you would need to buy to hedge away, on average, the risk of issuing the option grant. A surefire way to incorrectly value an option is to look at it through the prospective of how much the holder of the award values the option. Say you are an option recipient and are given the choice of two options, which both vest immediately. You can choose between an option that can be exercised at any time over the next five years or an option that can only be exercised at time 5. Which has the larger cost to the company? The option that can only be exercised at time 5. Why? Because the only way, from the company’s perspective, to “perfectly hedge” that grant would be to buy an option with a 5-year term. For the first option, the company would probably expect the option will be exercised on average at time 2.50. They would therefore need to buy an option with a term of 2.50 years to “perfectly hedge away the risk of issuing the option. Remember in option pricing theory fair values increase as expected term increases, all else being equal. The term hedging, although not used much in equity compensation circles, is very important as it relates to valuing equity awards under ASC 718. An award’s fair value should always be thought of from the perspective of how much it would cost the company to “perfectly hedge” away all risk associated with an equity grant. Doing a quick “back-of-the-envelope” estimate based upon the preferences of the holder of the award is a surefire way to make valuation errors. This theory applies to all award types and any restrictions that may be place on the awards. Recall that, although some restrictions may make an award less “valued” by the holder, the ASC 718 fair value should always represent the cost to “perfectly hedge” all risk associated with the award from the company’s perspective. Stephen Paratore has been part of the team at Stock & Option Solutions since 2014 and is currently a member of the Outsourcing Team. Stephen works out of the Campbell Headquarter office in California as an Account Manager for several public and private companies using Equity Edge Online, Shareworks, and Certent. Stephen earned his CEP designation in 2007 and has worked in the Financial Services industry for over 20 years. "Stephen Paratore and the rest of the SOS Team have smoothly transitioned Aerohive’s Stock Administration from a 100% in-house to a 100% outsourced solution, saving Aerohive time and money and greatly improving service delivery. Aerohive is a small company but, like many in the Valley, we are global with the complex equity administration that follows. Knowledgeable, detail-focused and attentive to our needs, with Stephen, we know that we are a priority. I am sure that all of his clients would say the same." - Steve Debenham,Aerohive Networks, Inc. Starting something new… Rob Mills is working for Rambus in Stock Administration. Chris Dohrmann is the new Senior Vice President of Strategic Partnerships at Global Shares. Andy Brown is a Senior Stock Administrator for Roku, Inc. Achaessa James is the new Legal Operations Wrangler at Automattic handling stock plan administration. Anamika Mandal is now the Executive Director, Corporate Sales at UBS and is based in San Francisco. 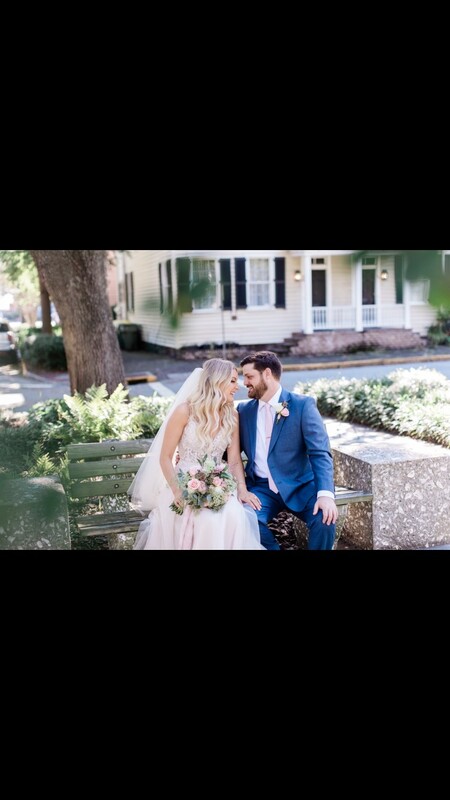 It’s love… Clint Goodin of SOS married Carly Neal Cunningham on October 12th in Savannah, GA. The intimate ceremony was performed in Reynolds Square in front of their immediate families. They couldn’t have asked for a better day to say, “I do”. 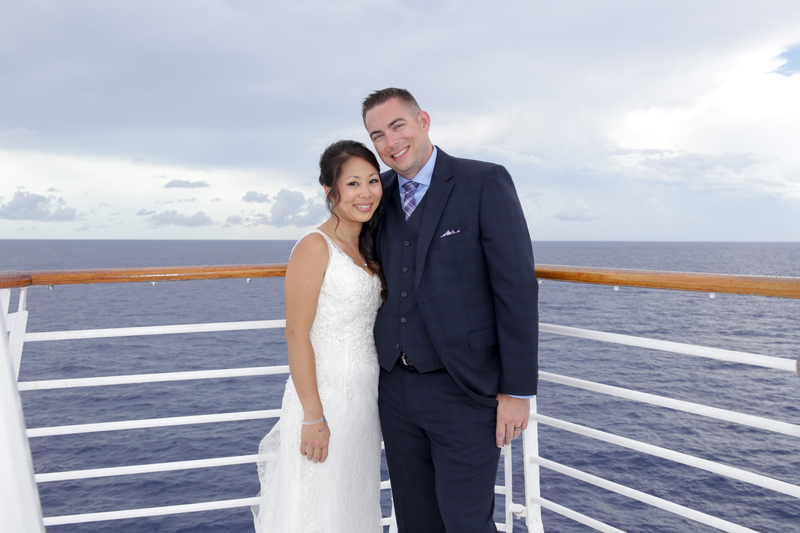 SOS’s LoAn Nguyen got married on September 6th on a Bahamas Cruise on the Royal Caribbean in front of their closest family and friends! Her and her new husband, Kurtis, spent two weeks in Japan for their honeymoon visiting Tokyo and Kyoto. Congrats to the happy couple! Scholarship news… Scott McDonald of Equity Point was awarded the Marilyn J. Perkins Claassen Memorial Scholarship from The CEP Institute this year. Time to crack the books, and good luck on your level 2 &3 exams! Industry News… Save the dates for the 27th Annual NASPP Conference and Exhibition as equity compensation’s leading professional development and networking event comes to New Orleans from Sept. 16-19, 2019! Call for presentations and registration to open in January. SOS is hiring for Stock Plan Administrators in consulting positions, full time, part time and remote projects. We are also hiring for financial reporting and accounting professionals- first position is for an internal position working full time with SOS – SME with knowledge of equity accounting, finance and tax related matters for a variety of internal and external client needs. 2nd position – leading an FRA team with a large-scale data conversion and implementation, very visible position. For more details contact Carole Dubas. Bragworthy… SOS’s very own Moe Zohny, CEP has been offered a seat on the CEP Certification Council and is now one of 12 members on the Council. The CEP Certification Council acts as the final authority over the content of CEP certification exams before they are administered. Congratulations Moe on this outstanding achievement! With kids and adults returning to school, we’re excited to continue learning! Keep up on the latest trends, tidbits, and educational opportunities with Xtra. In this issue, we discuss how companies are implementing the simplification of nonemployee expense under ASU 2018-07, share industry updates and articles that have sparked our interest, dive into who has a new job and we provide details about our next SOS Educational Webcast. This month we are also focused on educating you on our 6039 reporting services and solutions. Are YOU ready for this requirement? Clearly education is the focus at the 26th Annual NASPP Conference & Exhibition in San Diego next week. Planning to attend? If so, please stop by the SOS booth #706 to learn more about us, play a game, win prizes, & more. Fill out our drawing entry form before the event (NOW!) to be entered into our pre-event drawing for a $250 Amazon gift card. With your advanced entry your name will automatically be added to into the pool for the post-event drawing after the conference. (You could win $500!). Catch SOS’s Jim Lecher in the SOS booth to answer questions on ASC 718 Valuations and Shareworks and in his session, Valuation 201. Hope to see you there! The Financial Accounting Standards Board (“FASB”) continues to issue releases as part of its Simplification Initiative. These words are music to the ears of anyone dealing with accounting for equity compensation. ASU 2016-09 brought the welcome relief of eliminating the need to estimating forfeiture rates. ASU 2017-09 clarified exactly when a company should account for the effects of a modification to an award. And now FASB has released ASU 2018-07, which will again offer welcome relief – this time for companies dealing with nonemployee accounting. Nonemployee accounting (that is, mark-to-market) has been required whenever a company grants an award to an outside consultant or an employee converts to being a nonemployee. Nonemployee accounting has been the bane to many an equity compensation professional’s existence. To start with, it leads to uncertain expense over the service period of the award because the fair value (which, multiplied by total shares, results in total expense to be recognized) is recalculated each quarter based on new inputs like fair market value and remaining contractual term. Initially, primarily due to the use of a contractual term (e.g., 10 years) instead of an expected term (e.g., 6 years) which also drives volatility calculations and interest rates, the Black-Scholes fair value for these grants is often higher than it would be if the fair value was calculated using “employee” inputs. Finally, depending upon the functionality available in the equity compensation software used by the company, some if not all of the calculations required each quarter may need to be done manually outside of the software. ASU 2018-07 expands Topic 718 so that it now includes “share-based payment transactions for acquiring goods and services from nonemployees.” What this basically means is that companies can now calculate a grant-date fair value for nonemployee awards the same way they do for employee awards and they will no longer need to recalculate this fair value each quarter until vesting. Upon adoption, the company will simply conduct one final fair value calculation for any nonemployee award that is still being expensed and then recognize that final total expense through the remaining service period. Unlike employee awards where the company uses an expected term to estimate fair value, companies can elect to use either an expected term or the contractual term when estimating the fair value for nonemployee awards. Awards with performance conditions can now be measured based on the probability of satisfying the performance conditions just like employee performance awards. Change-in-status accounting goes away completely under ASU 2018-07. So, if an employee becomes a nonemployee and the award is not modified as a result of this change in status, the company will simply continue to expense the award based on the original grant-date fair value. ASU 2018-07 becomes effective for public entities for fiscal years beginning after December 15, 2018, and for fiscal years beginning after December 15, 2019, for all other entities. Early adoption is permitted, but no earlier than an entity’s adoption date of Topic 606 (Revenue from Contracts with Customers). “Equity has become a mainstay for both retaining employees and enticing new hires. As stock administrators, it helps to not only have that knowledge, but to be capable to deliver that information in a way all employees can understand. Whether that employee be an insider or standard, this webcast intends to educate you or brush up your knowledge, at a high-level, of how to approach award types, year-end, taxation, and form filings.” Colin Bass, Stock & Option Solutions, Inc.
● Colin Bass, Stock & Option Solutions, Inc.
● Chris Cox, Stock & Option Solutions, Inc.
Get through the end of the year without pulling out your hair. 1. Prepare a checklist of all deliverables. Indicate due dates and mark when each task is complete. As the quarter-end tasks pile up, it’s handy to have the checklist to remind yourself of what is still outstanding. Also, the checklist is a good place to make reminders, such as report parameters, distribution list, etc. If you save these reminders and notes to your checklist template, they’ll be there for each subsequent close. 2. Schedule reports and save report parameters. Many equity software platforms offer the ability to save report parameters—and even allow you to schedule reports—ahead of time. This can be a big timesaver if you have multiple reports to run. For example, if you sort your expense report by department code and grant type, you may be able to save these sorting and grouping options so they’ll already be there when you’re ready to generate your reports. In addition, you may be able to have many (if not all) of your quarterly activity reports (such as, granted, exercised, cancelled and released) scheduled to run the morning of the first business day of the new month. This way, you won’t need to generate each one individually. 3. Keep your roll-forward up to date throughout the quarter. It’s a simple step, but it can save a lot of time if you’re searching for a discrepancy with the transfer agent. Having this already up to date when you begin quarter-end reconciliation may keep you from having the double task of populating the roll-forward and reconciling it at the same time. 4. Do what you can do ahead of time throughout the quarter. If you’ve granted options, you can gather the valuation inputs and either apply them or have them ready to go when it’s time to start running reports. Having missing items can prevent other tasks from being performed (in this example, the expense reports). Do it in advance and save time when the time crunch really comes. Quarter-end close will never be an easy time for those of us in the equity compensation field. However, I hope these steps help you develop your own plan (or enhance the plan you already have) for making your life a little easier. -Michael Forbes, CEP, Stock & Option Solutions, Inc.
Tanya Barnes has been a member of the Stock & Option Solutions team since 2014 and is currently a member of the Outsourcing Team working from the SOS Nashville office as an Operations Specialist. Tanya has expanded her knowledge in equity compensation and is passionate about day-to-day tasks of stock administration and interacting with multiple clients. Tanya is currently working to earn her CEP designation. “Tanya’s attention to detail and positive can-do attitude made the transition away from in-house stock administration a seamless process. Thanks to Tanya and her team, I was able to focus on the bigger picture and leave the day-to-day administration to the professionals! Thanks Tanya! -Hilary Romero, Sonos, Inc.
“Tanya is a fantastic partner and consummate professional. She is always looking for ways to streamline and build processes to ensure we are working efficiently. She is clear and concise in her communication and adeptly answers questions from participants as well as the accounting and human resources teams. We are very lucky to have her supporting our transition from a private to public company.”-Jackie Hill, Sonos, Inc.
Tax reforms and how they might impact employee financial planning. Hard working… Anna Sotnikova is a Senior Consultant, Equity Management with CFO Advisery Services for Armanino LLP. Stephanie Trunk is a Global Equity Consultant at Syneos Health. Kody Adams, CEP is the Stock Plan Administrator for Qualtrics. Khang Diep is now working with Cutera, Inc. in the Equity Department. Josh Lurie recently founded JL Advisory, a mid-market advisory firm focused on the human capital, technology enabled services, software and data markets. Daniel Kapinos is now a Partner for Aon. SOS’s Andrea Best has been promoted to Vice President of Client Experience. In her new role she is responsible for leading SOS’ future growth by ensuring SOS understands our clients’ priorities and delivers an optimum client experience. Read the full press release here. New team leads have been created at SOS to support SOS team members and clients with a more direct, personalized experience. Promoted from within to fill these new roles are: Laura Kreman, CPA, Sarah Roberts, CEP, Tim McCleskey, CEP and Srinivas Kalakoti, CEP. 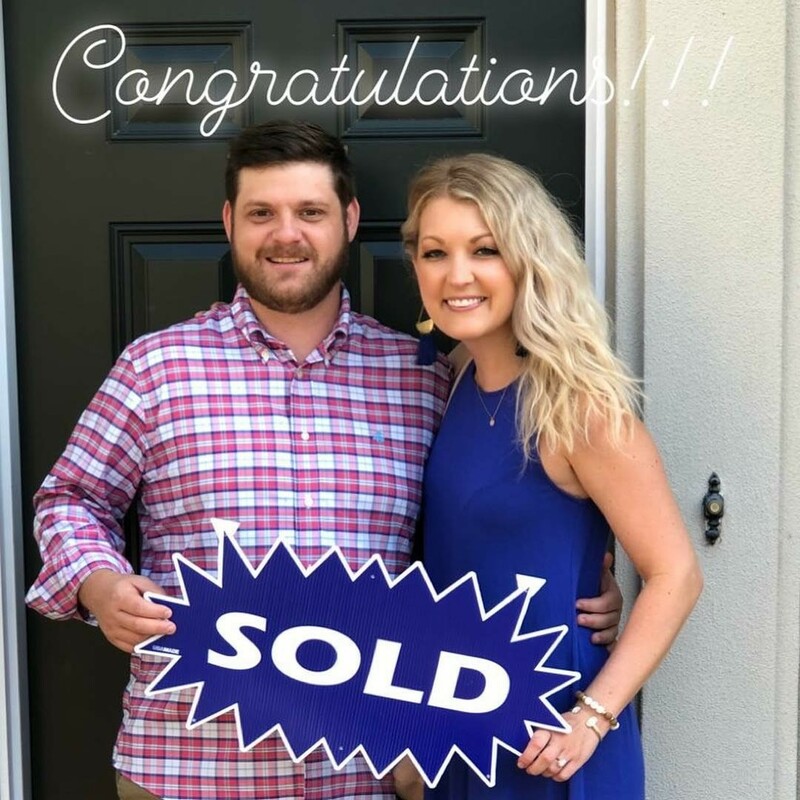 Help us congratulate them! Crafting communications never seems to be the highest priority in equity administration. But the importance of communication is underestimated. We will cover the importance of knowing your audience, leveraging existing communications and utilizing non-standard avenues of communication. View this webcast to learn about what makes communications clear and effective for your employee population. Rachel Southern, CEP, Stock & Option Solutions, Inc.
As experienced Stock Administration Managers, we have noticed that certain issues seem to pop up time and again, causing headaches wherever we go. Different companies manage their trading windows, release dates, documentation and other processes in a variety of ways, some of which can be quite creative. We will present a sampling of these issues, noting the problem and the reason that it is important. We’ll give some examples of our experiences, and we’ll discuss the best ways to handle these problem issues. Sarah Roberts, CEP, Stock & Option Solutions, Inc.
How do you determine your Employee Stock Purchase Plan (ESPP) expense? SOS has been helping clients with this task whether they have a simple plan with no modifications, or a more complex plan where modification accounting is triggered from resets, rollovers or contribution increases. In this solutions webcast we will provide an overview of our newest solution to ESPP expensing that allows you to project your expense and finalize your true up, including modification impacts. Outsourcing is defined as the contracting out of a business process. The term "outsourcing", as we have learned, can mean something very different from one company to another; though the idea might be the same, the model varies significantly. The decision of determining if outsourcing is right for your company can be difficult since passing off any level of work to a third party comes with its own risks. Join our expert panel in this discussion that will leave you with more answers and a clearer picture on how outsourcing can work best for YOU. Susan Garvin, CEP, Stock & Option Solutions, Inc.
Joanne Burns, CEP, Financial Engines, Inc.